If there’s anything that this downturn in the economy has taught us, it’s that our happiness does not depend on the money we make. We have learned to be creative, to downsize, to “make do” and to accomplish more with fewer resources. Like it or not, we have learned lessons from these experiences, and I venture to say that we are the better for it. It’s even become trendy to shop in thrift stores, to re-purpose items we already have, and do partake in extreme couponing. It started out as a challenge, and it has developed into an art form. We blog about it, make TV shows about it, and have even begun to enjoy it! We have found a way to happiness through our creativity, resourcefulness, and ingenuity, and we are reaping the rewards of our efforts. We realize that there is an element of style in being frugal, a simplicity that makes us feel good. Bliss is the new black! Abraham Lincoln, now experiencing a resurgence of popularity thanks to a new movie portraying him as a vampire hunter, said: “Most people are about as happy as they make up their minds to be.” This is as true today as it ever was. Tom Shadyac, the successful Hollywood director famous for blockbuster hits Ace Ventura, Bruce Almighty, and others, had a personal experience that caused him to question what is wrong with this world, and to turn this quest for answers into a documentary entitled I Am. The big eye-opener in the film is that at a certain point our society veered off from being one of cooperation to one of competition. People started feeling the need to accumulate, to hoard, to get more and do better. Instead of acting as a community out for the good of the whole, we isolated ourselves into looking out for the good of the individual, often at the expense of the whole. And yet, this did not make us any happier. Through much research Shadyac discovers that at a certain point, we really are about as happy as we make up our minds to be. A bigger house, more cars, more conveniences, all of the peripheral “stuff” that signals our success to the outside world, does not do anything to change our base level of happiness. In fact isolating ourselves, separating ourselves from the community, can even have the opposite effect, causing us to feel lonely and out of touch. As humans, we crave connection. The law of relationship says we are here to help each other learn and grow. We need relationships, we need people, to allow us to do that. In his film, Shadyac explains that the Aboriginals believe that to accumulate and strive for anything more than what you need to live on is mental illness. We need to look out for each other, not just for ourselves. Now, I came to this idea of bliss because in Sanskrit, which is the great spiritual language of the world, there are three terms that represent the brink, the jumping-off place to the ocean of transcendence. Sat-Chit-Ananda. The word “sat” means being. “Chit” means consciousness. “Ananda” means bliss or rapture. I thought, “I don’t know whether my consciousness is proper consciousness or not; I don’t know whether what I know of my being is my proper being or not; but I do know where my rapture is. So let me hang on to rapture, and that will bring me both my consciousness and my being.” I think it worked. We face the same sort of disparity in messaging today. If bliss is the new black, and our values are less on the material and more on the spiritual, than why are the Kardashians so popular? Their reality TV show flaunts an uber-luxurious lifestyle, complete with private jets and international family vacations. A 16-year-old doesn’t just get a Sweet 16 party for her birthday, she gets a blow-out catered bash at a chic hotel, her own brand-new Range Rover, and the whole experience gets made into an E! network special. All of the opulence comes at a price. The mother is a workaholic who explains her lack of presence by saying on camera “I’m working to keep us afloat.” The father figure disappears for three days to make a point that he has been largely ignored and no one notices. Family members show their love by calling each other names that I can’t repeat in a G-rated publication, and adults drink to excess and often act like children wrestling each other to the floor. And then there’s that million-dollar wedding that resulted in a 72-day marriage. The priorities seem to be, at least to the viewers, quite skewed. According to Vedanta, life is the co-existence of opposites. We can’t have one without the other. It’s a matter of balance. We need to keep all of this in perspective and know that the choices we make, with our purchases, and with our TV viewing habits, make a difference. Maybe that’s why it is so disturbing to us when Oprah, the queen of quality TV and the arbiter of taste at her very own television network, chooses to have the Kardashians on her TV show. And as a part of the deal, supposedly, Oprah has agreed to appear on their show as well. In the interview with Oprah, the siblings say that they are indeed very spiritual, but that this part of their life isn’t shown on camera. Maybe this is what Oprah wanted us to see, that even with what seems to be the most decadent lifestyle, there is a flip side. I respect Oprah, so I have to trust her judgment. Maybe it was a savvy move. If it gets some Kardashian fans over to OWN, then good for her! How refreshing it would be to have the option to watch a reality show about real people doing real good in the world. It’s not about what happens with pampered housewives in gated communities, or the black tie fundraisers. There are so many rich stories about what really takes place right in our own neighborhoods. There are heroes in our midst, with heartwarming, life-affirming examples of how to follow our bliss by helping others. If bliss is the new black, don’t show us the closets crammed with designer shoes; show us the moments of human connection, the relationships, the growth that takes place. That’s the real character arc. That’s what sustains us. That is what is real. Everything else is just an illusion, a version of reality edited for the sake of ratings. When presented with options over time, people will eat a balanced meal — we are compelled to nourish ourselves. It works the same way with the television, too. The media can be a real instrument for change. Then maybe we’ll see that bliss, like black, is a classic that never goes out of style. 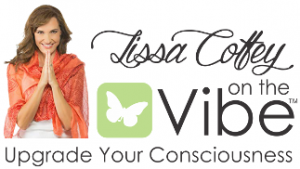 For more by Lissa Coffey, click here. Lies bathed in the morning sun. This is something we can all visualize. We've all had glimpses of what peace feels like. Imagine if everyone in the whole world could have that feeling all at the same time. Possible? As an optimist, I have to say yes. Peace is real, it is inherent in each one of us. And there are an infinite number of possibilities that could lead to world peace. One by one we are creating a world where peace comes naturally, and stays.